The people and cyborgs of the Scrapyard live beneath the flying city of Tiphares. The Scrapyard not only exists for the benefit of Tiphares, but is used as the city's personal trash dump. One day, "Doc" Ido, a former Tipharean citizen, finds the intact head of a young cyborg girl in a vast pile of scrap. He takes her in, giving her a body and the name Alita. Alita doesn't know much about her past, but she does remember one big thing: Panzer Kunst, a nearly forgotten martial art developed on Mars. 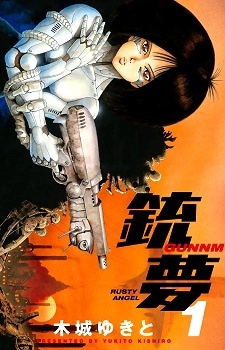 Alita decides to become a hunter-warrior like Ido and uncover more about her past.